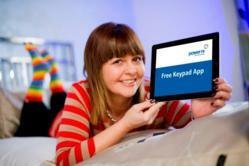 Power NI, the new name for NIE Energy, has today revealed that over 10,000 of its Keypad customers have taken advantage of its Free Keypad App, helping them to ‘top up’ their electricity anywhere and at anytime. This saves customers time and money. Power NI is focused on how we can make life easier for all of our customers and by downloading our Free App, users can save money as well as time. “With constant demands on time and pockets, Power NI is focused on how we can make life easier for all of our customers and by downloading our Free App, users can save money as well as time. “We know that many customers prefer to be in control of how much they spend on electricity and by moving to a Keypad you can do this easily. Customers can top up from the comfort of their own home or if they are out and about and on the go.